September is a culturally charged month for Iligan City. It is when we celebrate the month-long Diyandi Festival. One of the highlights of the festivities is the annual street dancing competition. This year, as usual, Iliganons flock the streets to witness this colorful event. Six groups danced their way through a 3-kilometer distance from the port area going to the Anahaw Amphitheater at the City Hall. It was jam-packed with everyone eager to witness the showdown of the different participating groups. 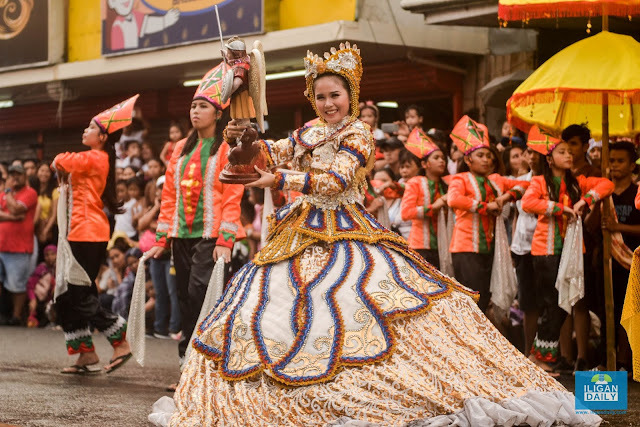 The dances showcased the rich and varied cultural traditions of the city, narrating the divine protection of St. Michael to the united people of Iligan -- the Dumagats (now Christians), the Maranaos (Muslims) and the Higaonons (lumads or natives). It is highlighted by the eskrima, a dance form simulating a fight between the patron saint and his enemies, depicting the celestial battle between the forces of good and evil. The dances features the faith of the Iliganons that in the end, good always triumphs over evil. 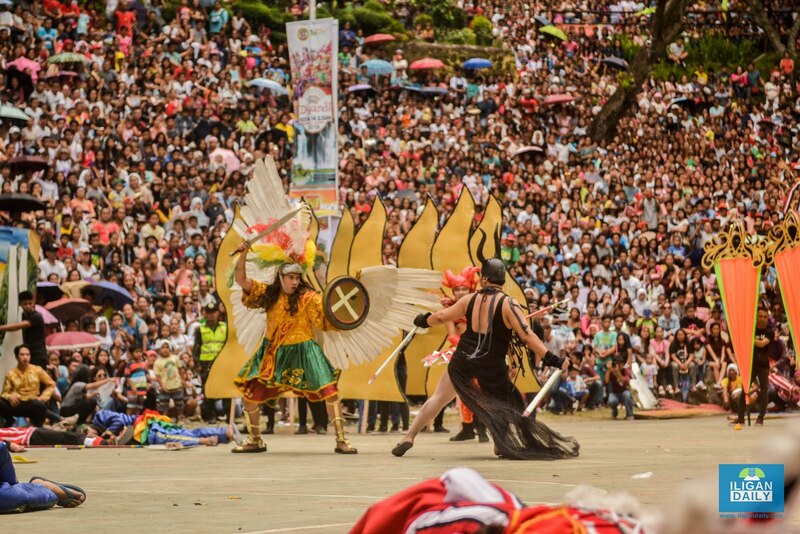 Six contingents from different barangays competed in this year's competition. Brgy. Hinaplanon bested the other contingents. Brgy. Pala-o won first runner-up, and Brgy. Dalipuga garnered second runner-up.